I’m over at FOT this morning talking about the legendary tale of Kitty Clark. Use your imagination to picture her. Long straggly, dirty blond hair, gum chewing, ripped bell bottom jeans, flannel shirts, usually bare footed, trash-talking 8th grader. Even the teachers feared her. She never went to her classes. She was always roaming the halls looking for trouble. A smoker at the age of 11 or 12. That’s how my mom described her. 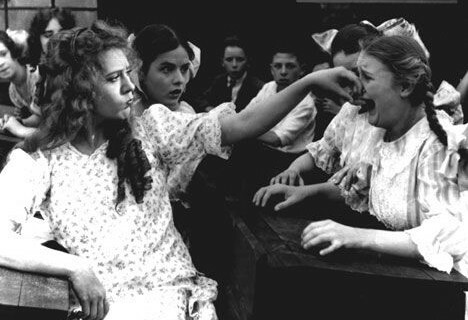 Kitty Clark was bad news with a bad attitude. Found out over the weekend she also had a henchman. The type that would help the lead bully corner you and then crack their knuckles and snarl their lip to let you know they meant business. Click over to the post at Fistful to read the full story of Kitty and find out how it’s related to talent management, HR, $3 billion to $35.4 billion, and new research.